I’ve heard about H. Harper Station for a while now, so I was excited to check it out for a friend’s birthday dinner recently. It’s located on Memorial Drive in a neighborhood called Reynoldstown and the restaurant itself is shaped like a train depot. 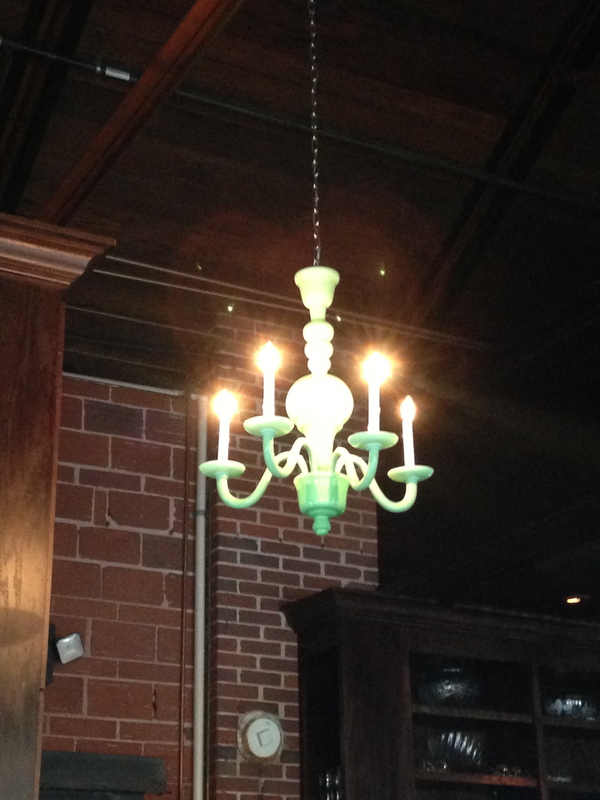 The inside is fairly small and narrow, but it’s a cool atmosphere. From what I’ve heard, they’re known for their cocktails, so naturally, I had to try one. 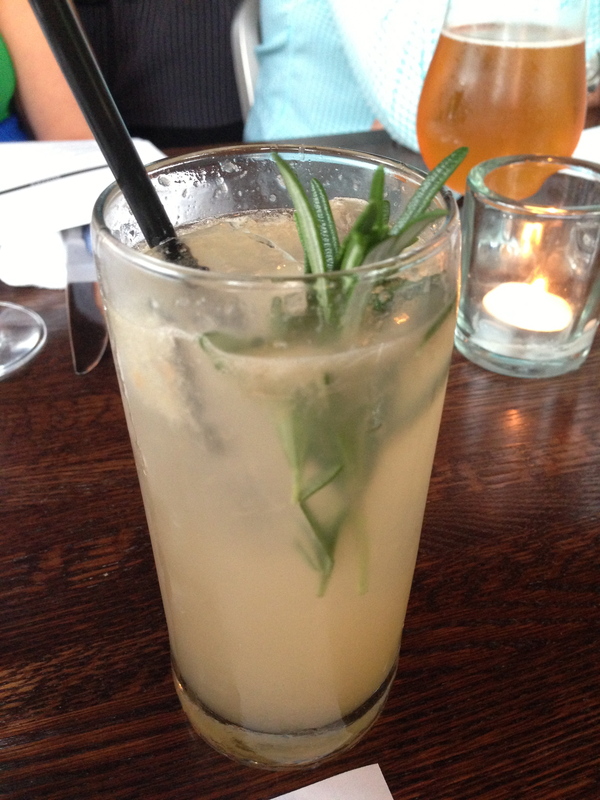 I chose the Ruby Slipper, which was made with vodka, grapefruit, rosemary syrup, soda water, and a sprig of rosemary for garnish. It lived up to the hype. 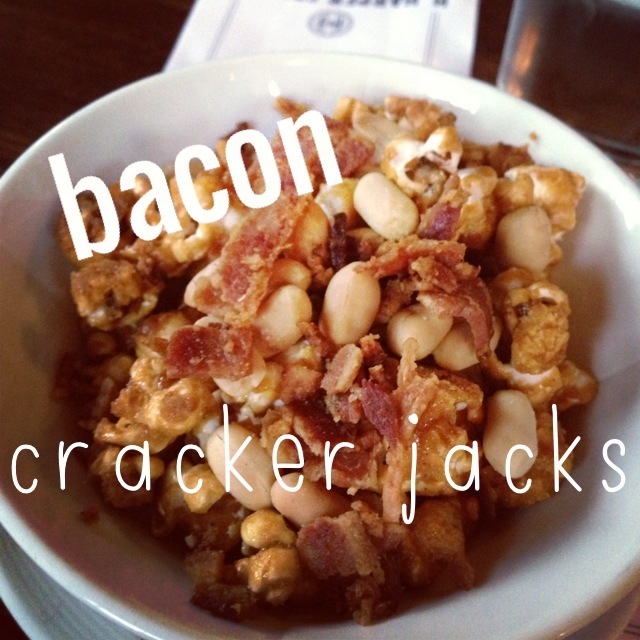 I think this was my favorite thing on the menu… bacon cracker jacks!! So simple, salty, and delicious. We also tried the deviled eggs and the smoked pimiento cheese with crispy bread. We gobbled up every last bite of all 3 apps. The menu is fairly small, so there weren’t a ton of options that I’d have chosen. 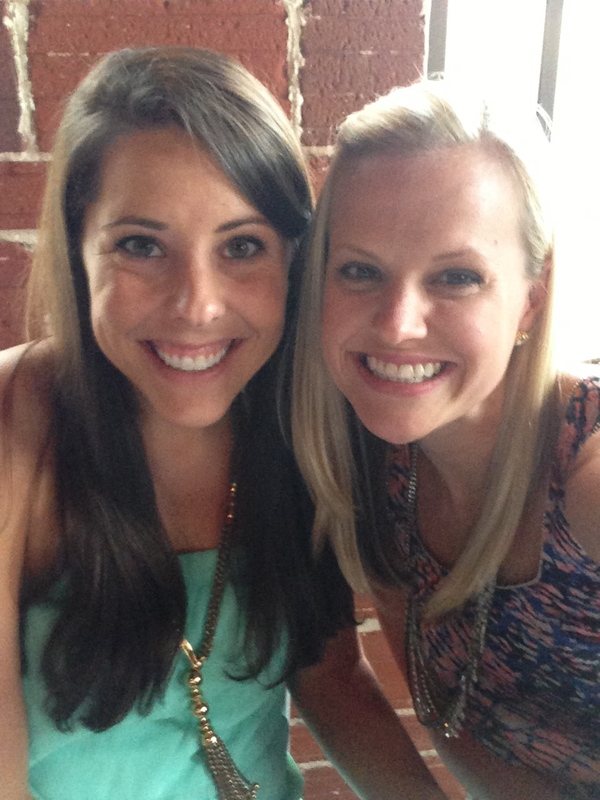 Most of our party chose the Beltline Burger, and it did not disappoint. 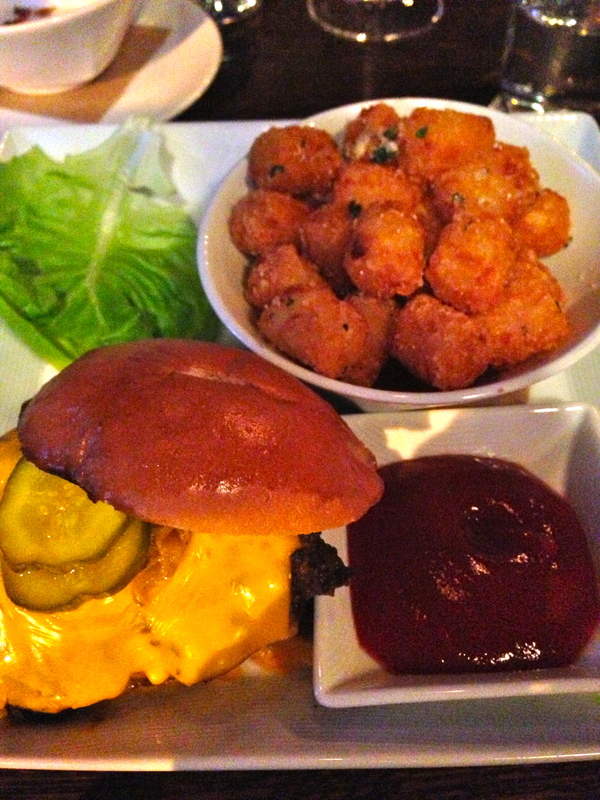 And it came with a side of crispy garlic herb tater tots, which is never a bad thing. 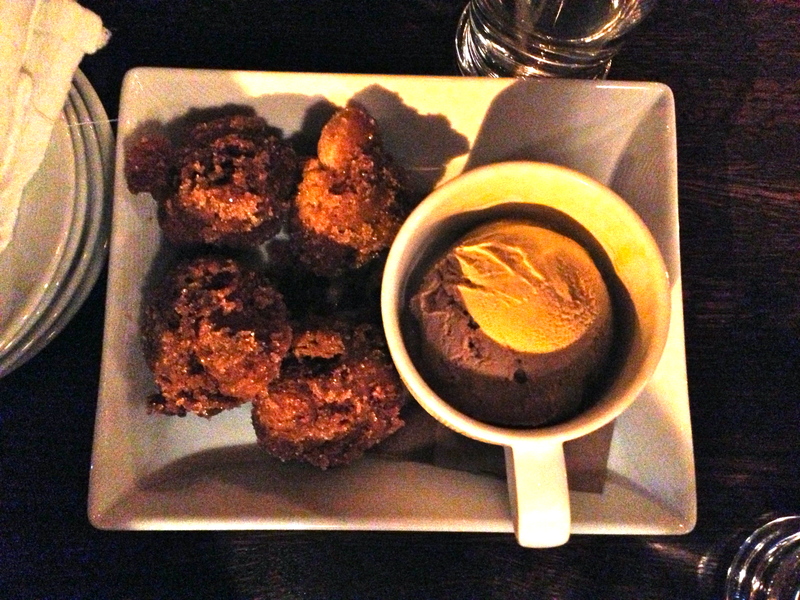 Excuse the dark iphone photo… these are crispy donut holes with Morelli’s coffee ice cream! If you don’t know Morelli’s, then you need to find out about it. They have arguably the best ice cream in the city. My favorite is the salted caramel. YUM!